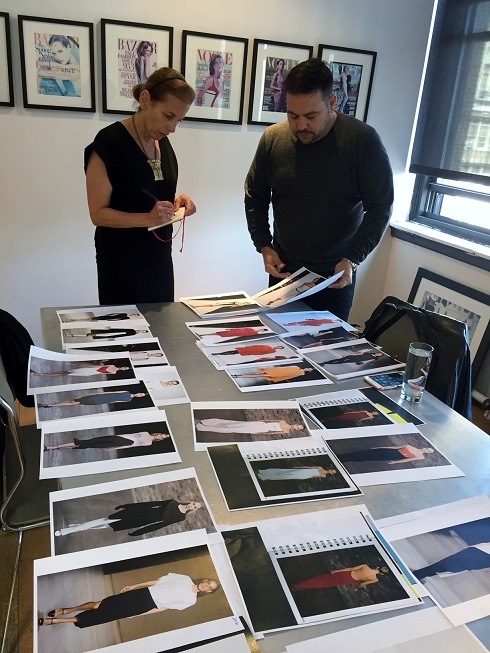 Headlining the Patricia & Phillip Frost Art Museum’s Art Basel Season for 2016, "Narciso Rodriguez: An Exercise in Minimalism" will feature designs by Cuban-American fashion designer Narciso Rodriguez as well as never-before-seen archival materials, original sketches, video and works of art, selected by the designer to showcase the influence of the visual arts on his creations. Co-curated by Alex Gonzalez, the Creative Director of ELLE Magazine and Klaudio Rodriguez, the Curator of the Frost Art Museum, the exhibition opens with a private reception on October 8 as well as an event on October 9 that is free and open to the public (and will remain on view through January 8, including the week of Art Basel Miami Beach). “The strength of our inaugural couture exhibition is our emphasis on Narciso Rodriguez's artistry and creative process,' Dr. Jordana Pomeroy, Director of the museum, said. "Like a master sculptor or painter, he finds inspiration in the world around him to create an artistic continuum of ideas that are the underpinning of his life's work." “As a first-generation immigrant who impacts our contemporary culture globally, Narciso personifies the American dream." "Alongside our guest curator Alex Gonzalez, Creative Director at ELLE Magazine, these two powerhouses will present a cultural milestone that will inspire and resonate strongly with the international communities here in Miami and at Florida International University," Dr. Pomeroy said. 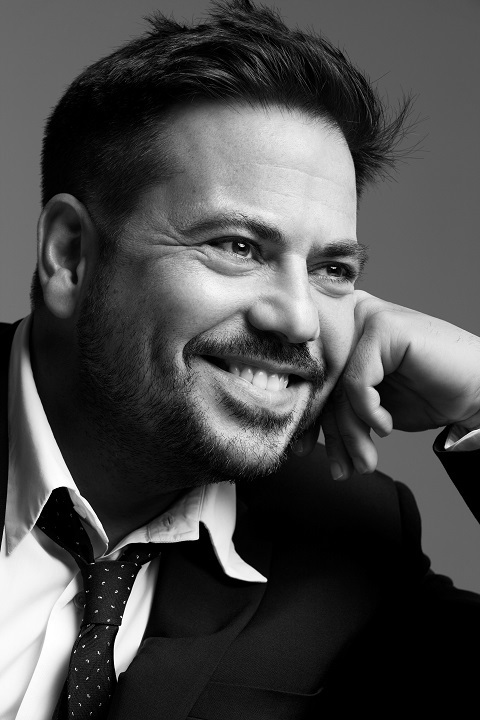 “I am honored to be asked to be part of the celebrated history of exhibitions presented by the Frost Art Museum FIU — and particularly excited to do so during Art Basel Season in Miami,” Narciso Rodriguez said. One of the foremost American designers during the last two decades, Narciso Rodriguez plays a singular role in global fashion. Raised in Newark, New Jersey, Rodriguez received his formal education at Parson’s School of Design in New York. Following freelance work in New York’s garment industry, he joined Anne Klein under Donna Karan. Later, he moved to Calvin Klein where he worked on the women’s collection. In 1995, Rodriguez became Design Director of TSE where he presented the first ready to wear collections for men and women in New York. Simultaneously, he was appointed Design Director of Cerruti in Paris. In 1996, Rodriguez received international acclaim when he designed the bias-cut wedding dress that Carolyn Bessette wore for her marriage to John F. Kennedy, Jr. and in October 1997, the first women’s ready to wear collection under the Narciso Rodriguez label was presented in Milan for the Spring/Summer 1998 season. The same year, Loewe appointed Rodriguez Design Director of the women’s ready to wear collection, a position he held until 2001. Rodriguez established his atelier in New York in 2001. Subsequently, he became the first designer ever to receive consecutive Womenswear Designer of the Year awards by the Council of Fashion Designers of America. In 2005, Time Magazine named him one of the “25 Most Influential Hispanics in America” while two years later he received the Fashion Icon Award from Pratt Institute. In 2008, Rodriguez was honored for Special Achievement in Fashion by ALMA (the American Latino Media Arts Awards). He was awarded the prestigious Cooper Hewitt Smithsonian National Design Award for fashion in 2014. Rodriguez has consistently dressed many women ranging from artists to award-winning actresses and theatre icons, to First Lady Michelle Obama. His designs have been featured in several films and television programs (including the current season of the HBO series Veep). His artistic collaborations include creative projects with choreographers Christopher Wheeldon, Jonah Bokaer and Stephen Petronio. One of the largest free-standing art museums in Florida, the Patricia & Phillip Frost Art Museum at Florida International University was founded in 1977 and is the Smithsonian Affiliate in Miami. The museum’s new lakeside building debuted in 2008, designed by Yann Weymouth (the chief of design on the I.M. Pei Grand Louvre Project). With 46,000 square feet of energy efficient exhibition, storage, and programming space, the museum was honored with LEED silver certification. 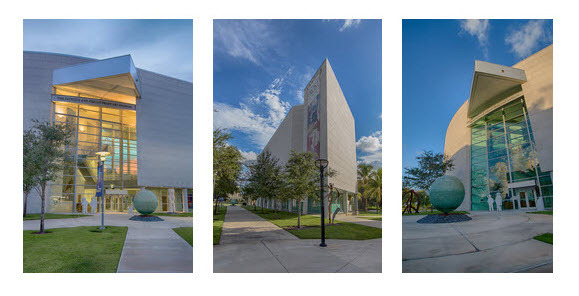 The museum’s mission is three-fold: to be a campus resource for the entire FIU community; to offer interdisciplinary training in the arts for the next generation of artists and art historians; and to serve as a premier cultural destination for the residents of Miami, and the 15 million visitors to one of the world’s most vibrant cultural destinations - home to global cultural events including Art Basel. The Frost offers programming that complements its exhibitions with a wide range of educational initiatives. The Steven and Dorothea Green Critics' Lecture Series has featured internationally renowned speakers including: Christo, Susan Sontag, Frank Stella, Helen Frankenthaler, John Cage and Marina Abramović. The Kenan-Flagler Family Discovery Gallery serves as an innovative programming space that encourages children’s involvement in art through hands-on exploration. Admission to the museum is always free. The Frost is accredited by the American Alliance of Museums, and is located at 10975 SW 17 Street. Open Tuesday-Saturday 10:00 a.m.- 5:00 p.m., and Sunday noon-5:00 p.m. Closed on Mondays and most legal holidays. The Sculpture Park is open every day. More information at frost.fiu.edu or 05-348-2890.